Polled sheep breeds were initially bred to make the tasks of shearing and crutching easier and safer for shearer’s. As Wiltshire Horn Sheep do not need shearing or crutching the horns are not a problem. Handling sheep with horns is easier as the handler has a horn to hold them with. This reduces the chance of bruising from the handler pulling on the animals wool. 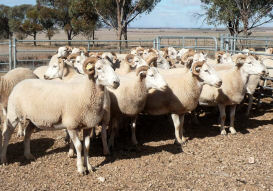 On the Byarlea property, hundreds of lambs are sold on hooks each year. There has never been a downgraded carcass because of bruising. Horned breeds are renowned for being hardy and thrive in harsh conditions. Horned breeds on average have larger carcass frames. Both polled breeds of sheep and cattle regularly introduce horned animals back into their flocks to maintain their size. 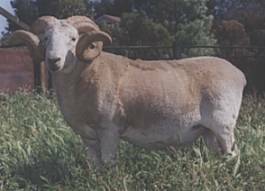 The Wiltshire Horn sheep is a fullblood breed and has not been developed recently by cross breeding with other sheep breeds. Having Wiltshire Horn sheep in a cross breeding program works well due to increased hybrid vigour. Their wool shedding characteristics is excellent. As the Wiltshire horn is a breed developed over hundreds of years and has not been crossed with wool producing sheep, the wool shedding characteristics is superior to any other sheep.